Here are some of the best fishing locations in Ontario. 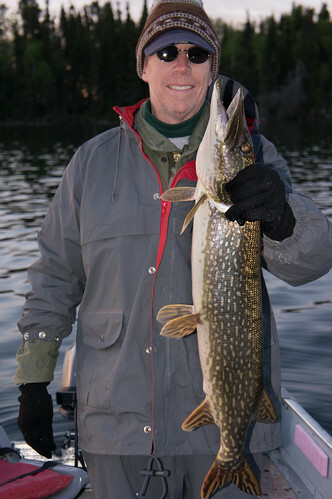 The species range from Northern Pike, Small-mouth Bass, Muskie to Salmon; and the fishing techniques vary as much as the species you are targeting. Whether its fly fishing in streams or fishing for 30 inch Walleye in pristine lakes, Ontario is a fishing destination to experience. Ontario also has some of the finest fishing lodges offering all-inclusive fishing packages and fishing vacations, making it a great Northern getaway spot.